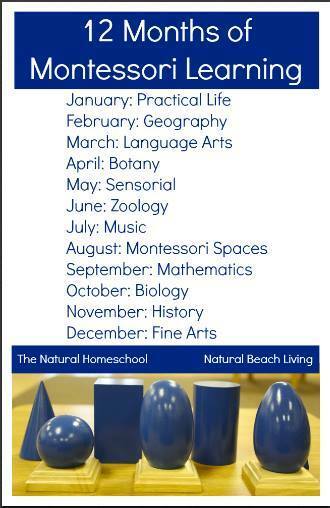 I have always found the throwing birthday parties for the kidlets to be extremely stressful and expensive. 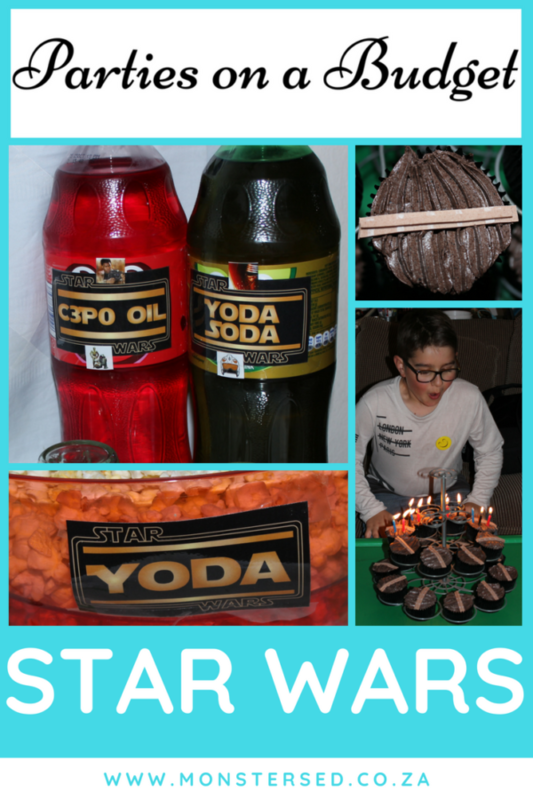 We recently gave Koko a Star Wars party for his 11th birthday. He chose a Star Wars movie night. Our party budgets, as a rule, are small. We don’t do elaborate parties. 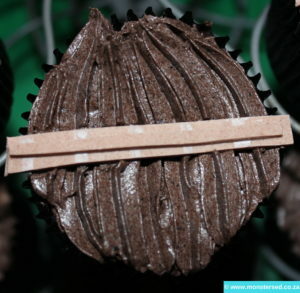 The only “big ticket” item at parties is the themed cake or cupcakes (whatever the birthday kidlet decides they prefer). 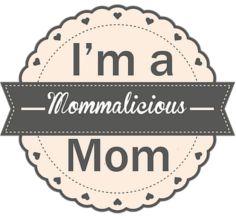 So for Koko’s 11th birthday decorations, I found some free online printables to use as his decorations. 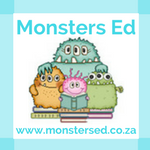 His Happy Birthday banner came from Libby Grove Designs and the food labels from Claire from Frugal to Free. Koko and I sat and made our list of snacks to eat at during his party. The main idea was that it should all be easy to eat without having to lug plates or bowls around. And so, for dinner, he decided that traditional South African Vetkoek and curried mince. 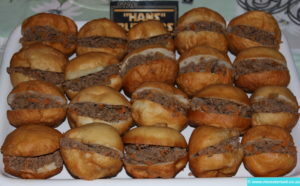 These mini vetkoek were dubbed Hansburgers. Get it??? 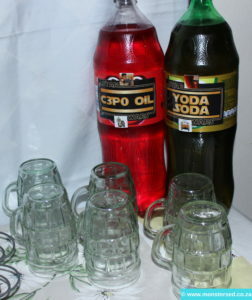 For the drinks, he chose the Sparletta Sparberry as the C3PO OIL and Sparletta Apple Rush for the Yoda Soda. 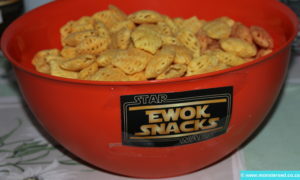 The other snacks that were a hit was the Simba Chips as Ewok Snacks and the Popcorn as the much anticipated Yoda. 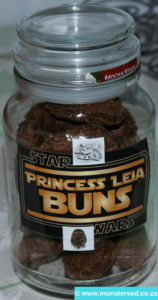 Princess Leia Buns were Romany Creams, which was a brilliant stroke of luck. 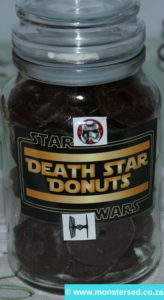 Death Star Donuts were represented by chocolate covered donut ginger biscuits. 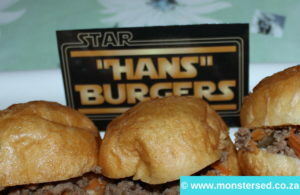 These were blinking delicous! 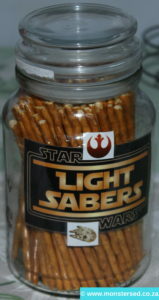 I tried to make Lightsabers by dipping Pretzel Sticks into melted chocolate, but didn’t buy the correct chocolate *face palm*. At least the kids still ate them and pretended to sword fight with them. Koko and I had also made Quick-make, no-bake brownies at his insistance, but didn’t have a label for those. These are divine and were polished off quickly. 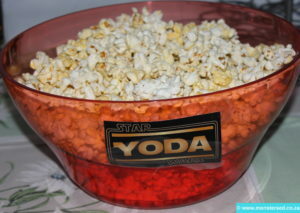 The red blobs on the serving dish is the chocolate I wanted to use for the lightsabers. And last, but most definitely not least, are the gorgeous and absolutely delicious Wookie Cupcakes made by the very talented The Gourmet Sugar Fairy. These are exactly what Koko wanted. This party was everything Koko wanted. Movies, a handful of his closest friends, food and drinks. He had the best time. You don’t need to spend thousands on a party to make your child’s day special. It’s the people and the atmosphere that count the most. Keep an eye out for our Shimmer and Shine Party on a budget coming next month!